Washington : Mars's crust is not as dense as previously thought and a lower density likely means that at least part of the Red Planet's crust is relatively porous, says a new NASA study. 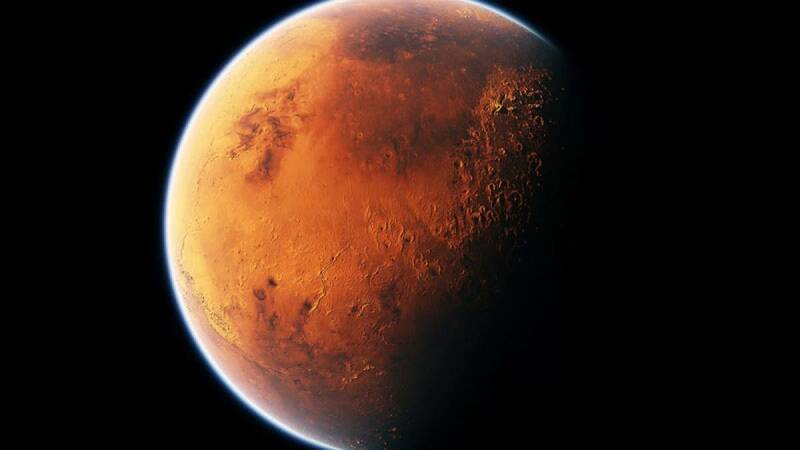 "The crust is the end-result of everything that happened during a planet's history, so a lower density could have important implications about Mars's formation and evolution," said study lead author Sander Goossens of NASA's Goddard Space Flight Center in Greenbelt, Maryland. The researchers mapped the density of the Martian crust, estimating the average density is 2,582 kgs per metre cubed. That's comparable to the average density of the lunar crust. Typically, Mars's crust has been considered at least as dense as Earth's oceanic crust, which is about 2,900 kgs per metre cubed. The new value is derived from Mars's gravity field, a global model that can be extracted from satellite tracking data using sophisticated mathematical tools. Previous estimates relied more heavily on studies of the composition of Mars's soil and rocks. "As this story comes together, we're coming to the conclusion that it's not enough just to know the composition of the rocks," study co-author Greg Neumann, a planetary geologist at Goddard, said. "We also need to know how the rocks have been reworked over time," Neumann said. A constraint compensates for the fact that even the best data sets can't capture every last detail. Instead of taking the standard approach, known to those in the field as the Kaula constraint, the team created a constraint that considers the accurate measurements of Mars's elevation changes, or topography. "With this approach, we were able to squeeze out more information about the gravity field from the existing data sets," said Goddard geophysicist Terence Sabaka.